Memory tri-pendant features a name, word or short phrase that captures the essence of your loved one. 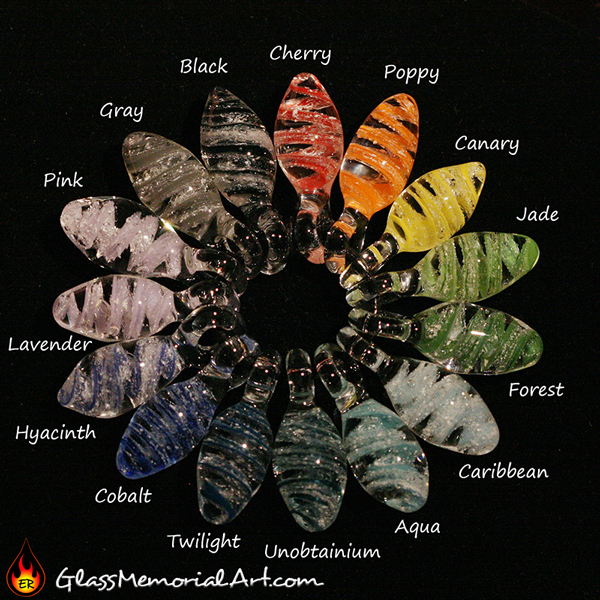 Adorned by a tiny flower or opal of your choice, and cremains permanently encased in glass. Approximately 1.5-2" wide x 2-2.5" tall. When I first saw Misha's memorial art I was so impressed with the idea and sentiment. I thought to myself, what a way to keep my beloved dog with me always and forever. It was very emotional for me. I couldn't even open his ashes to give some to Misha for the pieces. So, being the kind and sweet soul that she is Misha took the whole thing with her, did what she needed to do and returned with my boy like he'd never been disrupted. She then presented me with two of the most amazingly breathtaking pieces that i could have ever imagined. I have since felt so much more peace than I have since I lost my sweet boy Jacobus. Thank you Misha so much for creating such a beautiful memory for me.